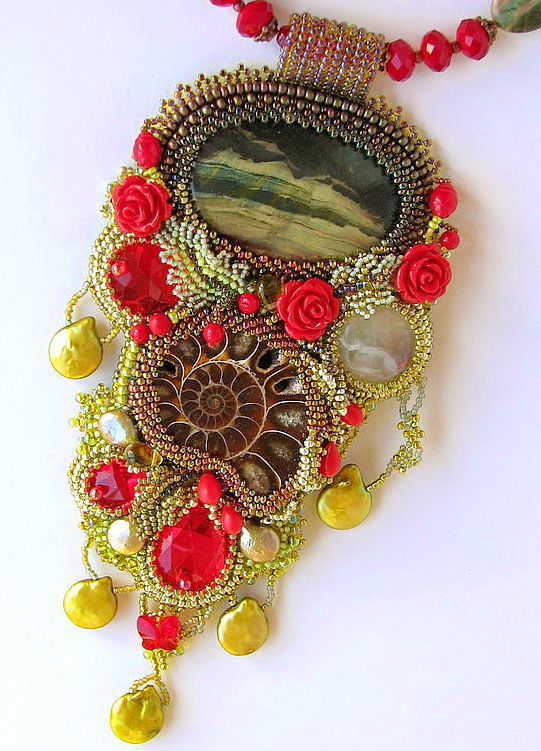 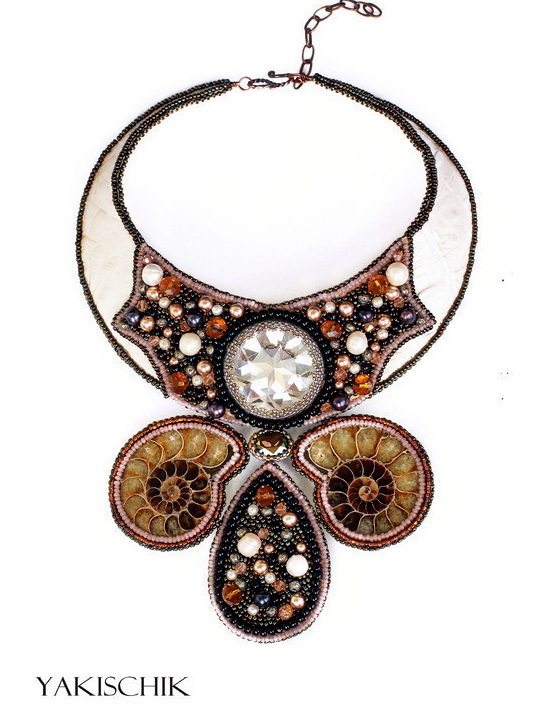 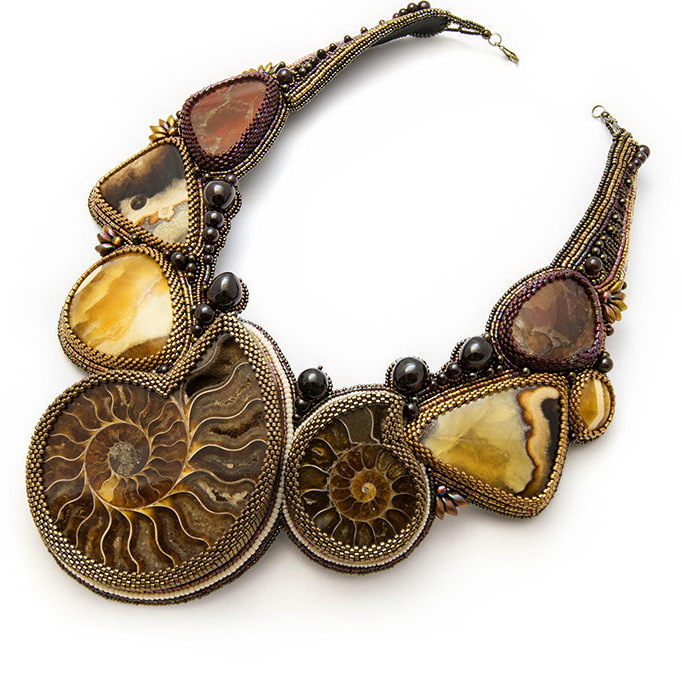 Ammonite fossils is unusual and interesting material for designing jewelry. 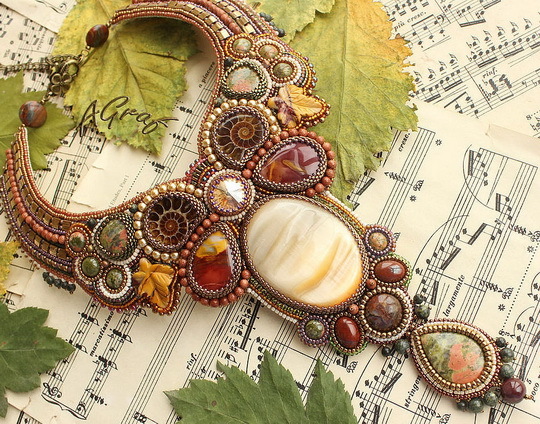 Not that easy to use it but many talented artists did it! 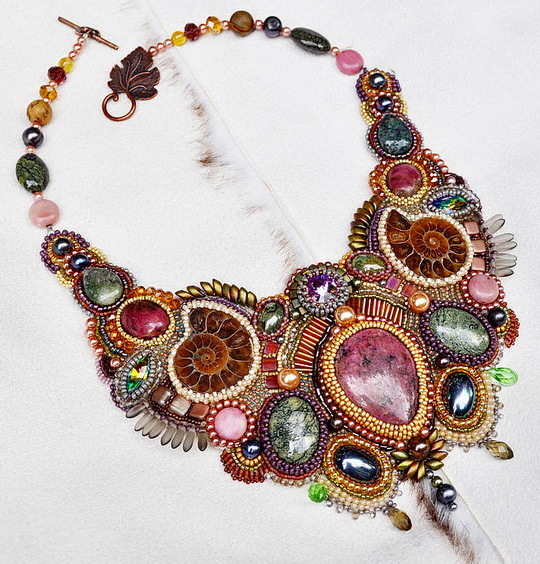 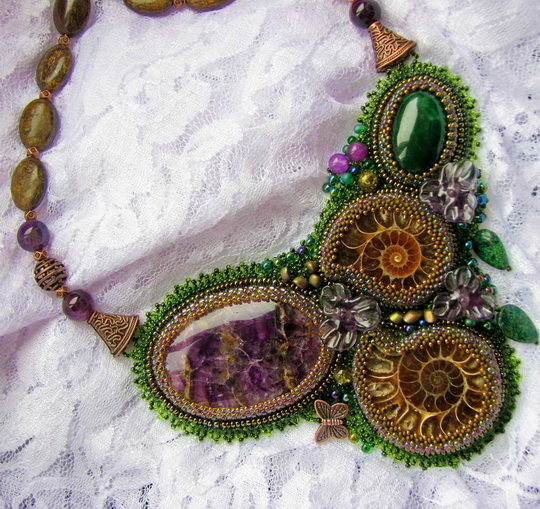 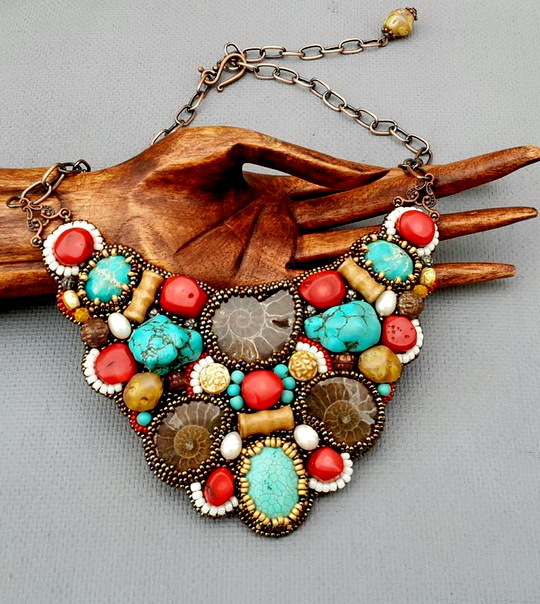 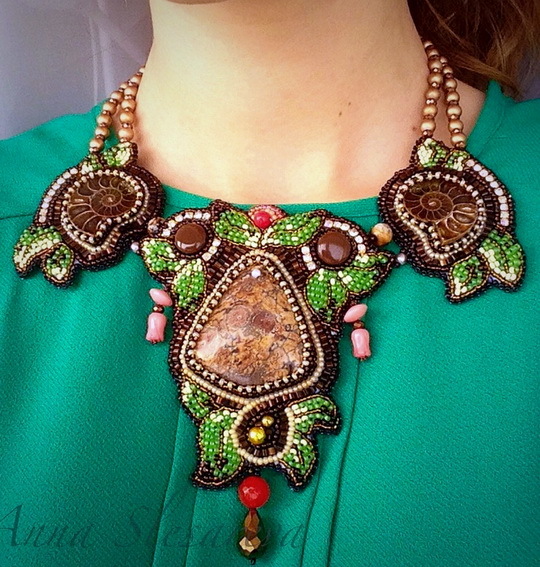 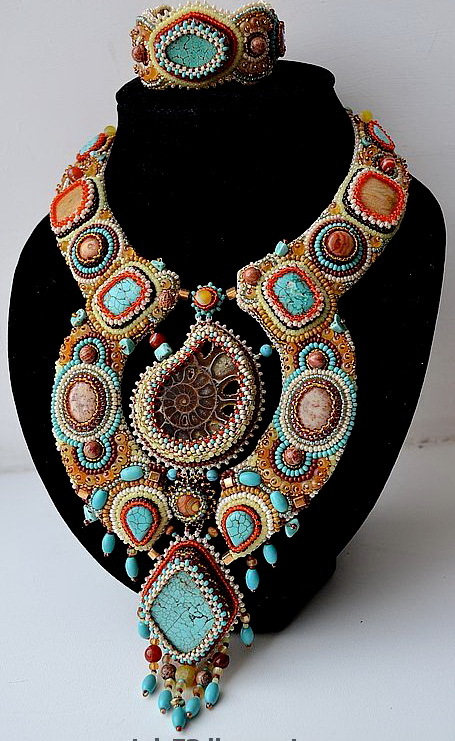 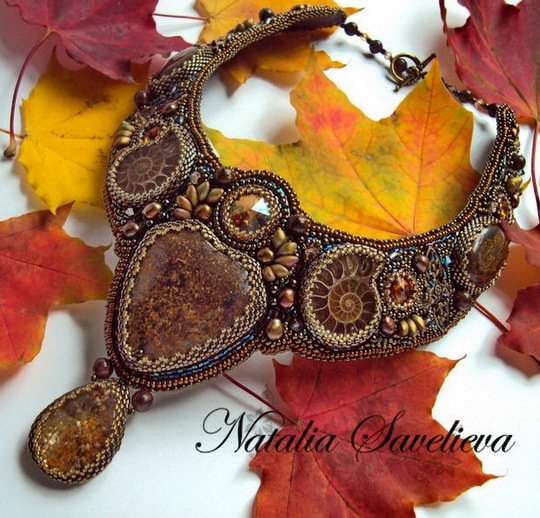 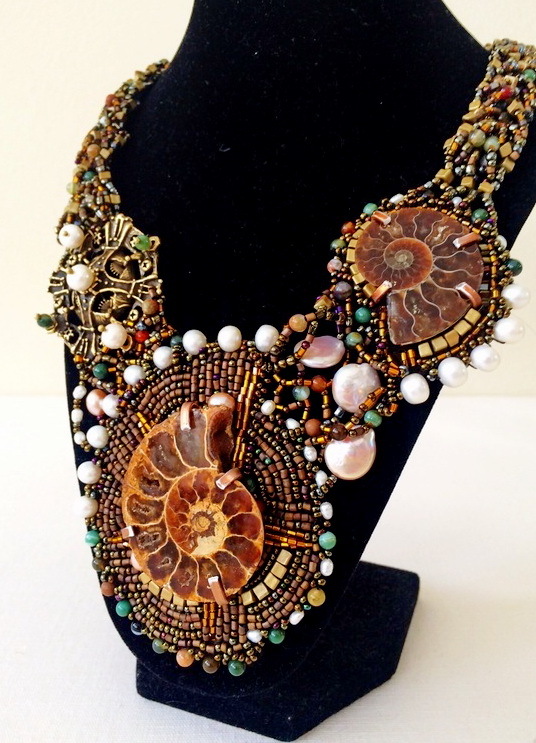 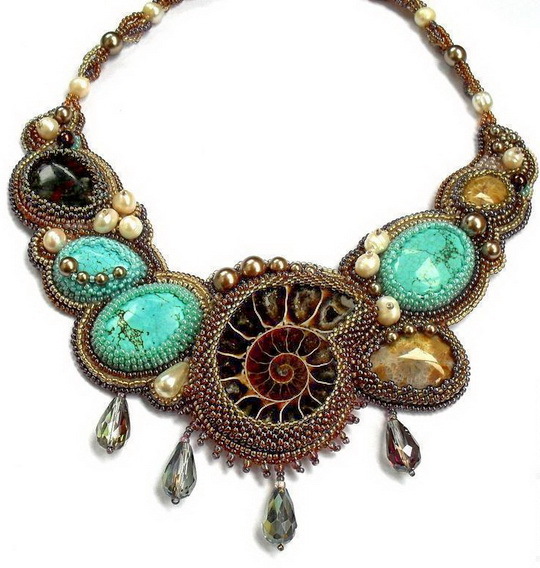 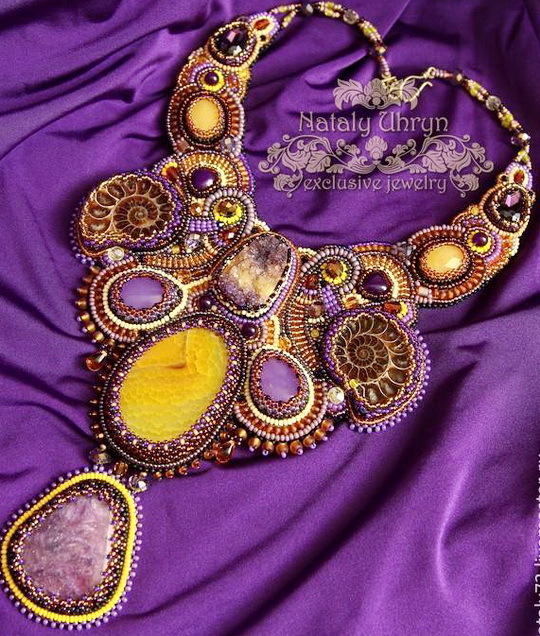 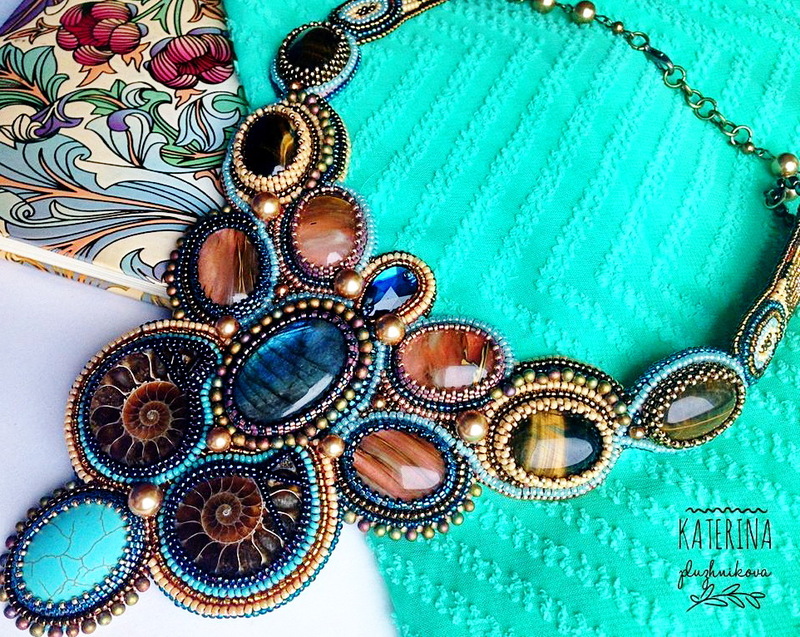 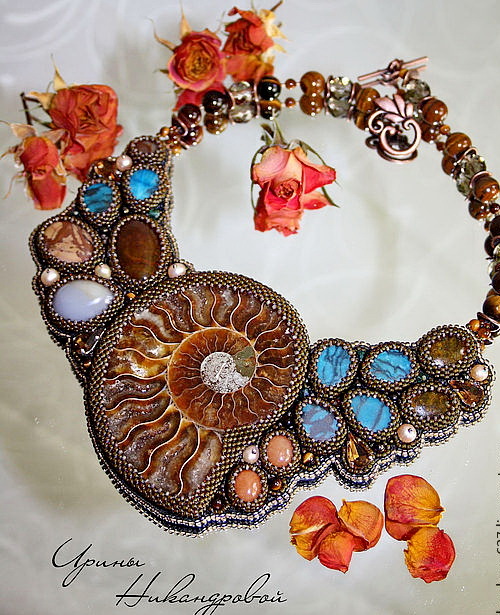 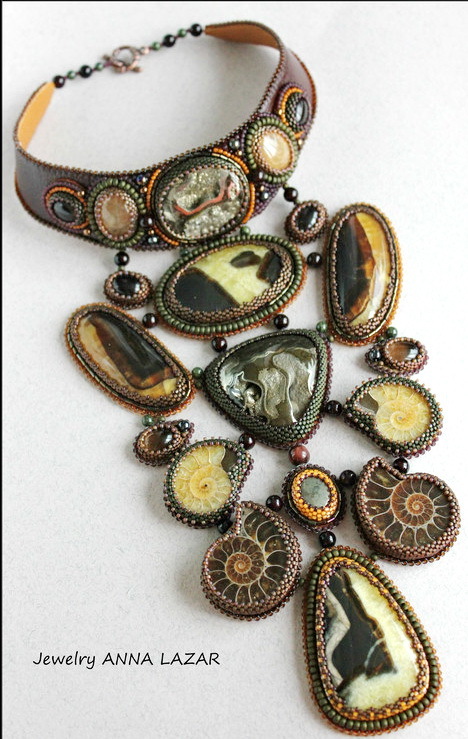 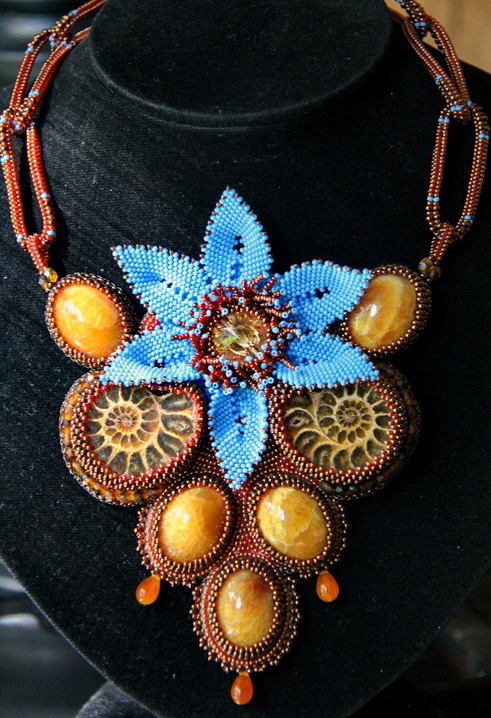 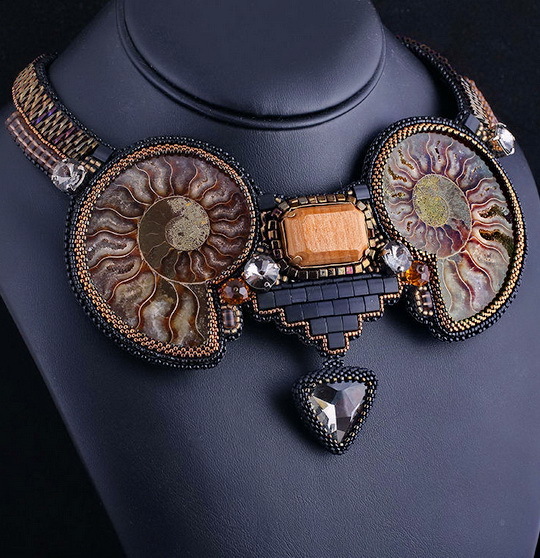 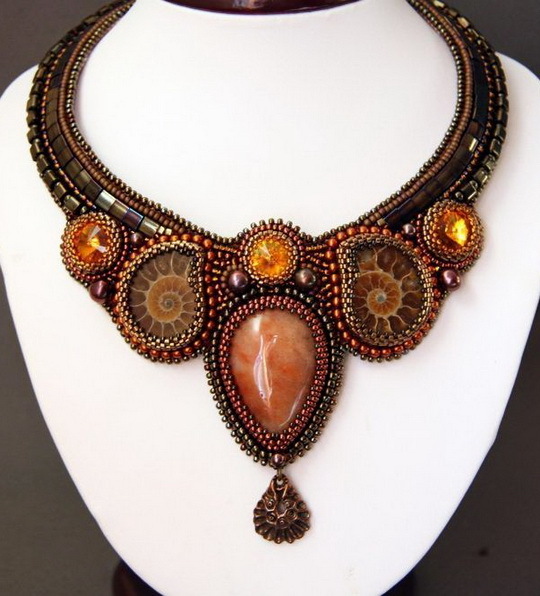 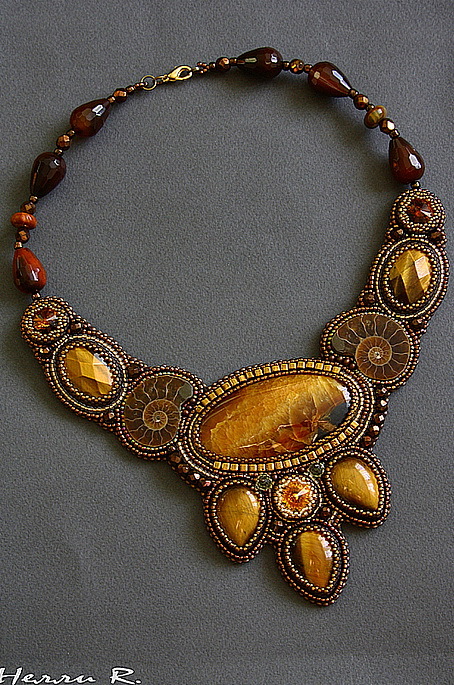 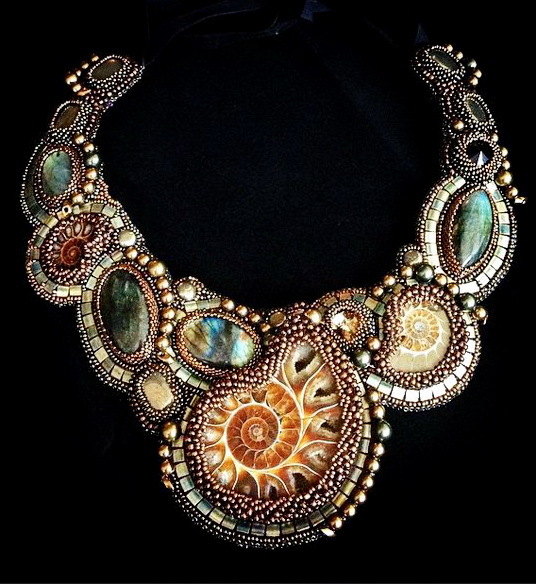 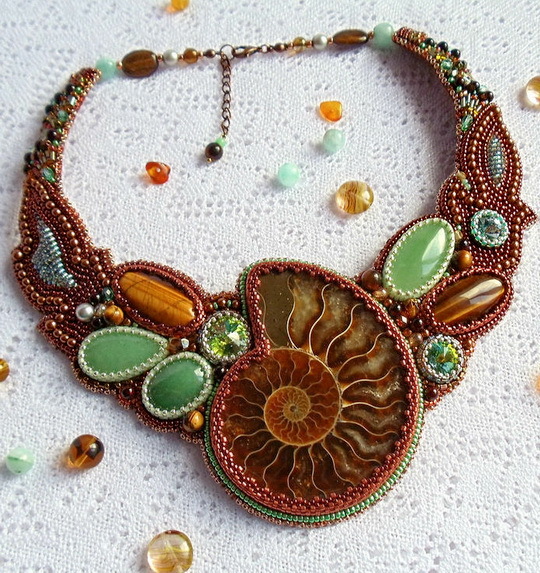 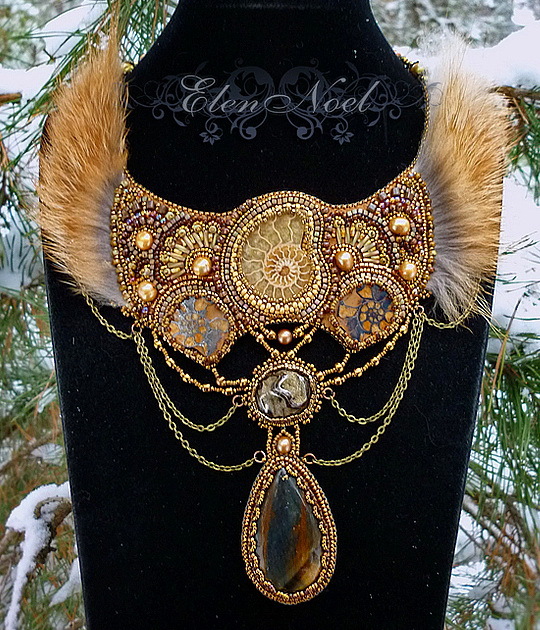 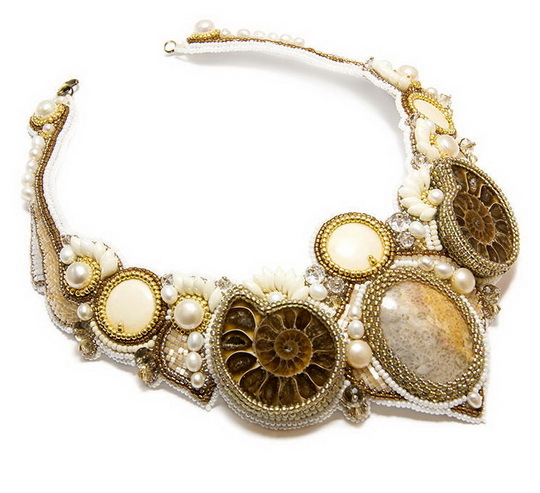 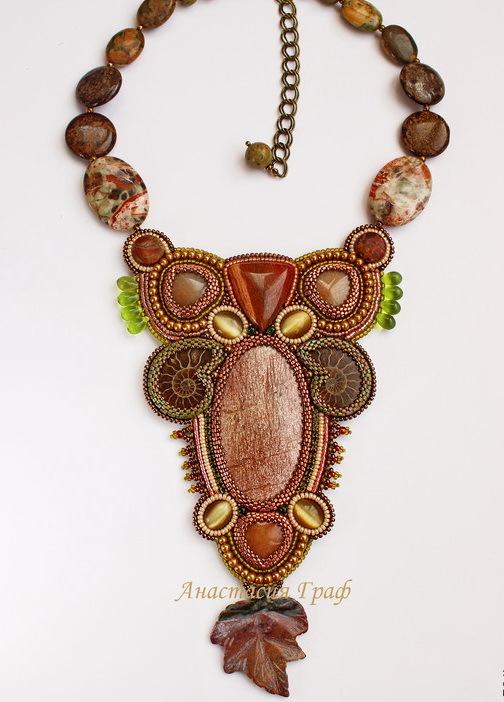 Here is collection of photos of amazing necklaces with ammonite fossils.